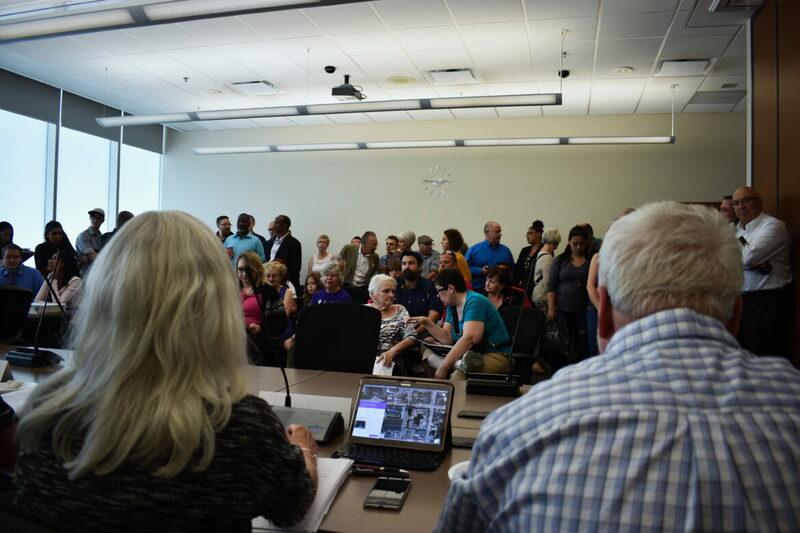 A large crowd attended the Committee of Adjustment to oppose Greenwin Inc's "minor variance" application to convert 3-bdrm units to singles. Greenwin Inc is appealing to the Ontario Municipal Board to overturn a decision by Hamilton’s Committee of Adjustment that their application to remove all but ten family units from the apartment buildings at 192 Hughson Street North and 181 John Street North was not minor. Greenwin faced much community opposition to the plan to remove 40% of the family apartment unit stock from Hamilton’s Downtown and to convert the units into more profitable single bedroom units. No hearing date as yet been set by the OMB. Hamilton's Design Review Panel Debates 40-Storey Proposal for Rebecca Street, Positive on Plan, but Debates How Tall is Too Tall?